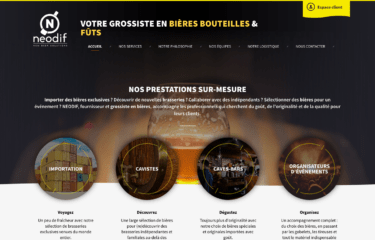 As part of a team of Freelancers, I developed the new website for the beer Wholesaler, Neodif. The website is split into 4 mini-sites, provides online ordering services and is connected to the companies ERP business software to automatically process orders. Ergonomie par Chloé Temesvári. Graphisme par Argo Design.